Percutaneous nephrostomy (PCN) catheters are mainly indicated for urinary tract obstructions. Unfortunately, the rate for infection and recurrence remains elevated. Our objective was to identify the risk factors leading to recurrent PCN-related infections (PCNI) in cancer patients. We retrospectively reviewed 571 patients who underwent initial PCN catheter placement at our institution. Of these, we identified patients with a definite PCNI and catheter exchange, with a minimum 30-day follow-up. We defined PCNI as presence of a urine culture positive for bacteria (≥ 104 CFU/mL) plus symptoms of urinary tract infection. A PCNI was considered recurrent if the same organism was isolated. Antibiotics were considered concordant if they were active against all identified organisms. A total of 81 patients (14%) developed an initial PCNI. Of 47 patients with 30-day follow-up, 10 patients (21%) were identified as having a recurrent PCNI. In terms of demographic characteristics, clinical manifestations, and microbiological data, there was no statistically significant difference between the recurrent and non-recurrent groups. 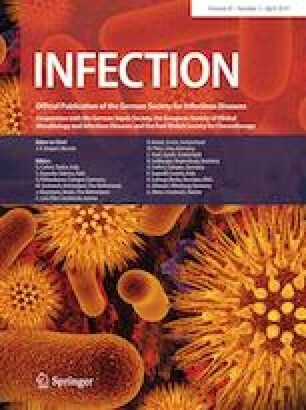 However, in multivariate logistic regression analysis, two factors were independently associated with a decrease in recurrent PCNI: concordant antibiotic use (OR 0.04; p = 0.008) and PCN catheter exchange within 4 days of infection (OR 0.1; p = 0.048). To decrease the high rate of recurrent infections, associated costs, and potential delay in further chemotherapy, we recommend that once antimicrobial susceptibility test results are available and the patient is known to be receiving concordant antimicrobials, clinicians proceed with immediate PCN catheter exchange, ideally within the first 4 days of the infection. UT MD Anderson’s Department of Scientific Publications provided editorial assistance. This study was supported in part by funds from The University of Texas MD Anderson Cancer Center, Houston, Texas, and by the National Institutes of Health/National Cancer Institute, under award number P30CA016672. Dr. Issam I. Raad: financial interest and/or other relationship with Cook Medical. All other authors: no reported conflicts. Talbot TR, Stone EC, Irwin K, Overholt AD, Dasti M, Kallen A, et al. 2017 recommendations on use of chlorhexidine-impregnated dressings for prevention of intravascular catheter-related infections: an update to the 2011 guidelines for the prevention of intravascular catheter-related infections from the Centers for Disease Control and Prevention. https://www.cdc.gov/infectioncontrol/guidelines/bsi/c-i-dressings/index.html. Accessed 3 June 2018.